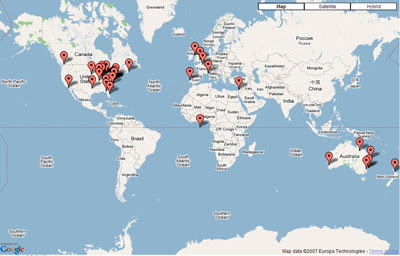 I have opened an eStore as an Amazon affiliate. 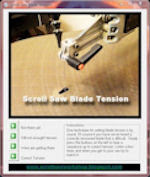 If you would like to support The Scrollsaw Workshop Blog please visit the eStore. 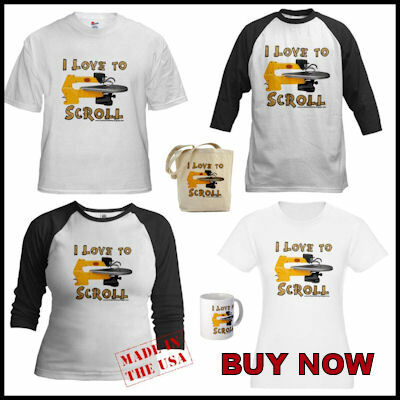 You will find a great selection of books and tools. Make sure to set a bookmark. 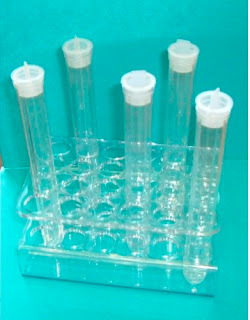 Rack holder plus 24 tubes with lids. Rack holds 24 tubes max. Rack measures 5 5/8" x 3 7/8" x 2 5/8". Tubes are approx. 5 7/8" long. 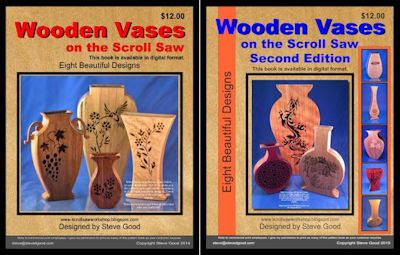 Scroll saw books are often just a monotonous rehash of the same old patterns, but every once in a while a truly original title comes along. 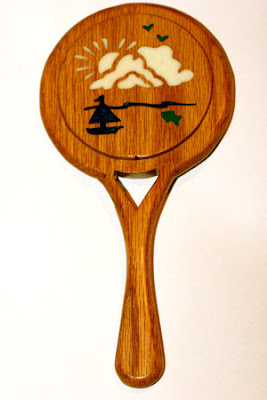 This one is sure to perk up even the most jaded woodworker. 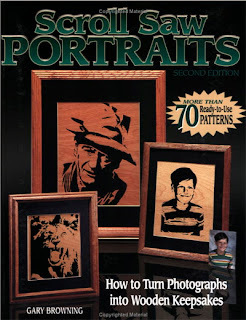 Browning has developed a method of scroll-sawing images from photographs using thin plywood. The results are remarkable his likenesses of famous people or family members (shown with their photos) are uncanny. 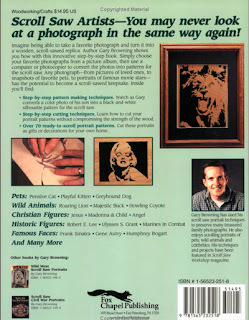 While those with access to a scanner and photo software will have greatest success, Browning also shows how to trace or draw patterns. 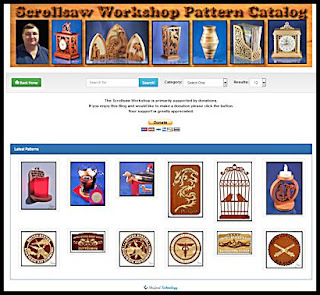 In addition, he provides 55 patterns for animals and people (including Christian and historic images). 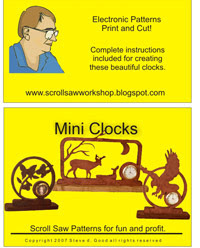 Sure to be of interest to most woodworkers and the public libraries that serve them. 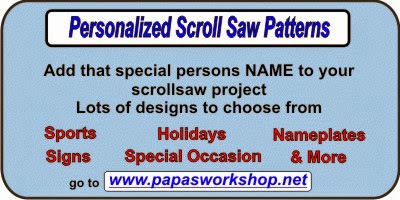 As the patterns you create for the scroll saw become more complicated the errors get more difficult to see on paper. I build a prototype of the project out of scrap or inexpensive material first to catch these errors. 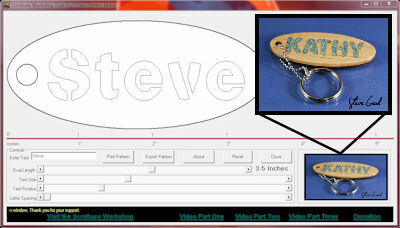 In todays video I will build a prototype of a pattern I just designed in Corel Draw. The pattern is a model of an old car. The pattern has several pieces that need to be assembled together to complete the car. 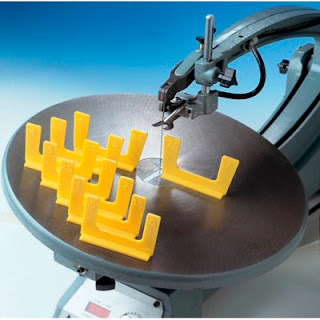 In this video we will make sure all the parts fit as expected and there are no bad surprises. If you would like to build this project the link to the free downloadable pattern is included at the bottom of this article. Watch the video for tips on cutting the pattern. I will complete the prototype tomorrow and post a picture so you can see what the car looks like in its finished state. The project would look more impressive built with several different species of wood. 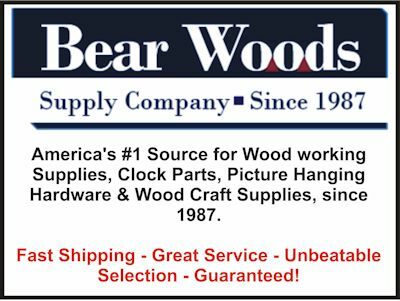 You might also consider looking online for pre-manufactured spoke wheels. It would require 2 inch diameter wheels. The wheels in the pattern are very basic but with a little sanding and shaping they will look ok. Enjoy the video and look for a picture of the finished prototype tomorrow. 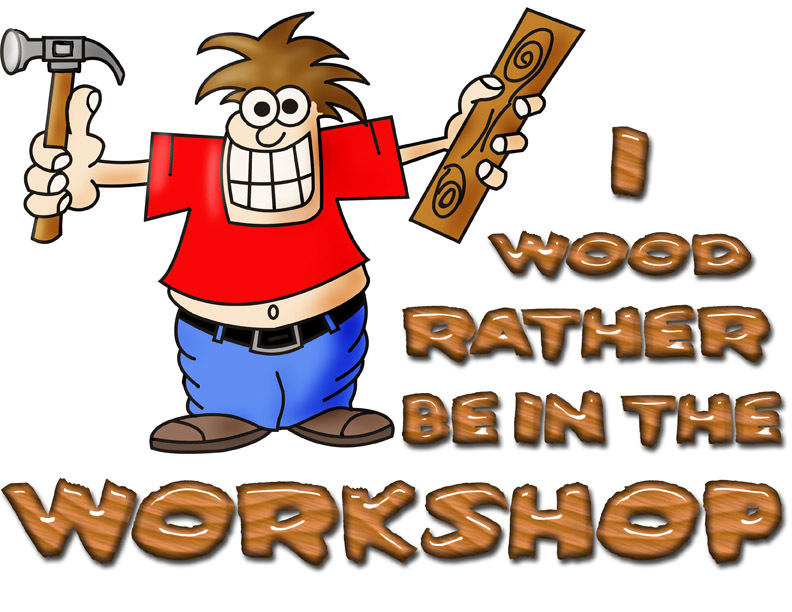 I created The Woodworker Guy the other night and thought I would share him with all my friends here at the workshop. 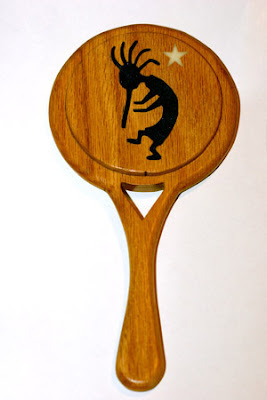 Buy one of these unique products for the woodworker in your life. They would make great door prizes for club meetings or just buy one for yourself. A small percentage of the price goes to support The Scrollsaw Workshop. 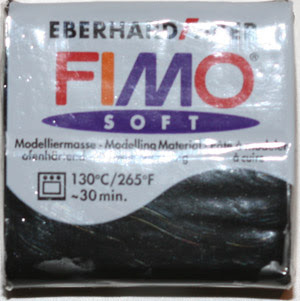 The products are printed by The Cafe Press. They will process your order and ship the product to you. Thanks for tolerating this blatant bit of commercialism. I plan to put any proceeds into the Workshop so I can continue to bring the community the information they are looking for. 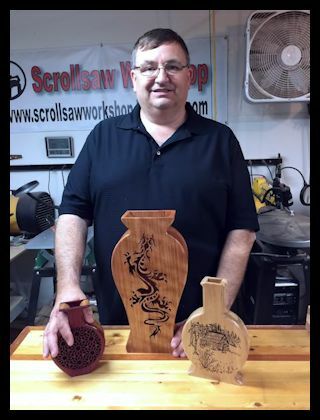 For those of you using Scroll Saw Pattern Printer here is another update. 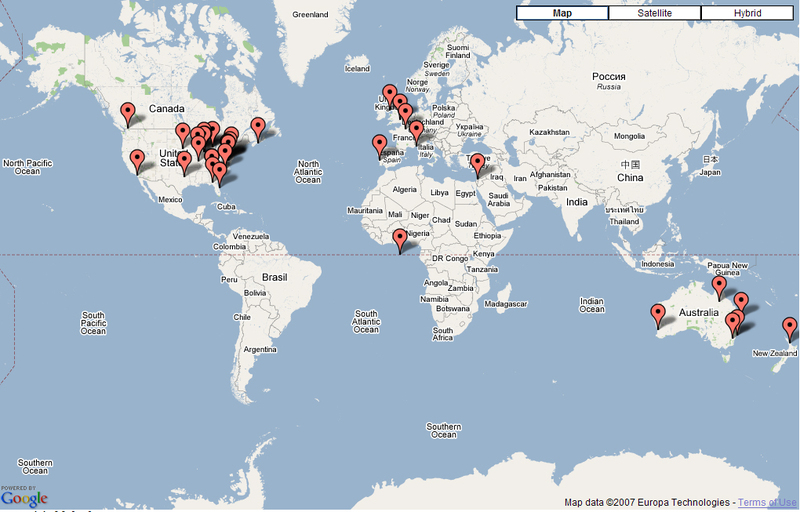 Version 1.1 has a slightly different user interface. The interface is cleaner and will now work with an 800x600 desktop resolution. I am continuing to work on more fonts and features but wanted to push this update out for those who were having problems with the 800x600 desktop. I think I have the code cleaned up enough now that I can focus on adding more fonts which is what everyone is asking for. You can simply install the update over the existing version. No need to uninstall. 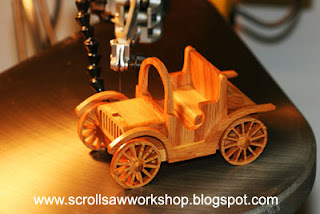 The response to Scroll Saw Pattern Printer has been very positive. I decided to add a couple more fonts and a page preview. You can download and install the program over the existing install. I hope you like the update. The demonstration video below shows the original release but the program is so easy to use I don't think it needs updating. The new features are fairly obvious. The page preview on the right now shows what will be printed on paper. 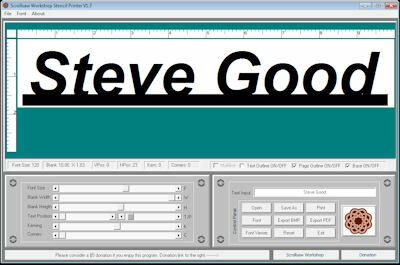 I have included two more fonts. I'm still learning how to make fonts so these are not that great but I hope to have some better ones shortly.